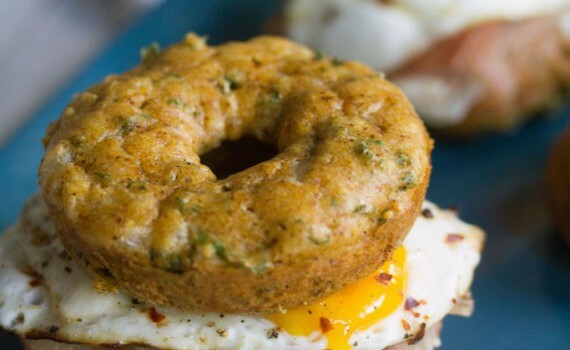 A savory doughnut egg sandwich. In a large bowl, whisk together flour, baking soda, chili powder, and salt. Gently stir in melted butter, eggs, and buttermilk. Fold kale and cheddar cheese into mixture until combined. Lightly spray a doughnut pan with cooking oil. Evenly distribute batter into pan, filling cavities almost all the way. Bake the doughnuts at 350 degrees for about 11-13 minutes, until doughnuts are starting to turn golden around edges and lightly spring back when touched. In small skillet sprayed with cooking oil, cook eggs sunny-side up. 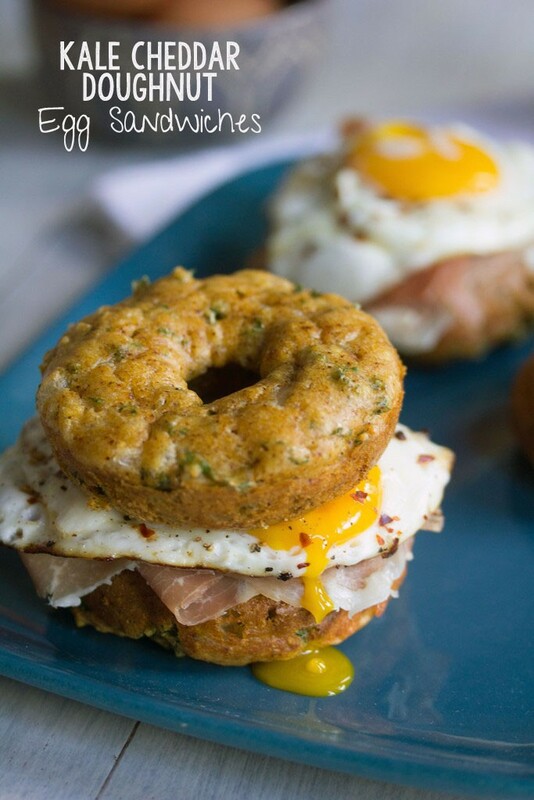 Put slice of prosciutto and one egg on a doughnut and top with another.